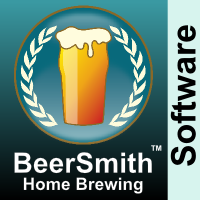 I’m pleased to announce that the BeerSmith 2.3 desktop update has been released for download. You can download the new version here. This update is free for all existing V2.x license holders, and the trial version is available for those just starting with BeerSmith. Versions are available for Mac, PC, and Linux (beta). I am working on updates to add the new brewing features to the mobile versions later this fall. I’ve posted a detailed post of the features here! Also I have a detailed guide here on using the new water analysis and mash pH tools. You can view the detailed features post here and the full change log here in detail. This release incorporates many hundreds of updates, fixes and enhancements to make your brewing day easier, and I would like to thank the many dozens of testers who contributed to this release over the last few months as well as thousands of people who provided suggestions, data and ideas for the update. I will be posting a series of articles and short videos on the BeerSmith blog in the coming weeks so please check back for tips on using new features in BeerSmith 2.3! What is the backwards compatibility of this update? I have an older MacBook that is not compatible with OSX10.9 and so I cannot install this version. I also use a newer Mac Mini that is capable of running 2.3. Will this cause issues if I am using a shared data directory? You can try the 32 bit version (down a bit farther on the download page) on your old Macbook or alternatly upgrade to 10.9 or higher. I do not recommend running from a shared directory as this can result in data loss if both copies are open at the same time and overwrite each other. I recommend using the cloud to synch recipes between machines. Just ran the update and the updater closed beersmith for me before it installed. Now when I open it I get the warning that there is a lock file because beersmith may not have closed correctly but I can override. I can’t get the error to go away and I don’t see anything called lock file or with the extension .lock or anything similar in directory where all of my data for beersmith is saved. Where might the file be so I can remove it this once and what should it be named? That is pretty unusual on the windows version to have a lock file left. I’m wondering if you may be running into the issue some users had with their antivirus software preventing the program from changing certain files. Try whitelisting BeerSmith or marking it trusted if you are using antivirus software. I love the new update, especially the ability to account for boil hop isomerization in the whirlpool. The problem though, is I use my mobile version quire a but to edit recipes and brew with. The ibis on the desktop version do not match the mobile version. Any thoughts on when the updated mobile version will be out? Just another mobile thought, it would be great to have the ABV show on the ensign screen. Is there any way I could run BS v. 2.3 on a Linux 32 bits host? I only see a 64 bits download option for the 2.3 version, and I would like to upgrade my 2.2 version I’ve been using on a 32 bit processor. I can’t load one of my recipes on the mobile app. It always says “could not download recipe from server”. Tried deleting from cloud, copying back to cloud from my computer, it won’t work. It’s so frustrating!